Aubrey Plaza as Alison Pyke, Danielle Nicolet as Connie, Ed Weeks as Barker, Cedric Yarbrough as Leonard/Middle Aged Man, Craig Cackowski as Skater/Shaun White/Business Man/Wallstreeter #1/Taxi Driver, John Ross Bowie as Male Judge/Co-pilot/Driver/Jogger, Kerri Kenney-Silver as Female Judge/Old Woman, Josh Zuckerman as Stoned College Kid/Young Man, Chris Tallman as Pilot/Captain Sully/Wallstreeter #2/Older Voices/Conductor, Mark McConville as Air Traffic Control/Rescuer/Older Voices, Alison Rich as Teenage Girl, Janet Varney as Flight Attendant/Mother/Suspicious Mother, Gary Anthony Williams as Man in Uniform/Regular/Older Voices/Security Guard, Jamie Denbo as Woman, Humphrey Kerr as Patrick, and Andrew Reich with stage directions. Stacey brings the case against her boyfriend Greg. When they go on trips together, Greg likes to dawdle and take his time getting on the road. Stacey has grown impatient with this, and wants to get out bright and early. Who's right, and who's wrong? We're also assisted this week by Joel Mann at 89.9FM WERU in Blue Hill, Maine. Thanks to Ryan Stauffer for naming this week's episode! To suggest a title for a future episode, like Judge John Hodgman on Facebook. We regularly put a call for submissions. 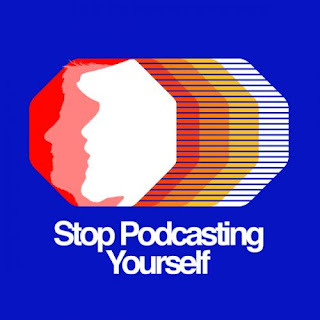 Hello Stop Podcasting Yourself fans. In case you haven't heard, the hosts of the show and a couple of SPY regulars got together to make a comedy pilot for CBC radio. The show is called Adultery, and it's about how people of our generation don’t have the skills or accomplishments that we believe came so naturally to our parents. It’s also super funny. It features Charlie Demers and Erica Sigurdson as hosts, and our own Graham Clark is the guest who has to undertake the grown-up task of giving a haircut to a child in a kitchen. Dave Shumka co-produced and edited the show. It's just a pilot, so any positive feedback we get would be appreciated. Send that to cbcadultery@gmail.com or tweet it to @CBCAdultery.